The mission of Cantrell West Dental is to be the finest dental practice serving Little Rock and Central Arkansas. Every day Dr. Don Deems and the entire Cantrell West Dental team combine superb technical ability with artistic creativity and listen carefully to the concerns, needs, wants, and values of patients. Dr. Deems received his DDS (Doctor of Dental Surgery) at Baylor College of Dentistry in Dallas, Texas, where he earned the top award for Outstanding Clinical Excellence in General Dentistry, the Munksgaard Geriatric Dentistry Award, and was on the Dean’s List. 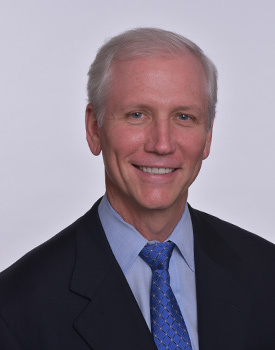 He began private practice in 1987 in Little Rock. He graduated from the University of Arkansas at Little Rock with a Bachelor of Science degree in Biology, with a minor in Chemistry. His honors in undergraduate school included the Chancellor’s List, National Register of Outstanding College Graduates, Who’s Who Among Students in American Colleges and Universities, Chancellor’s Leadership Scholarship, and Ottenheimer Leadership Scholarship. Dr. Deems has been awarded the prestigious Fellowship in the Academy of General Dentistry, Diplomate in the Pierre Fauchard Academy, and Diplomate in the American Academy of Pain Management. He holds memberships (past and present) in the International Congress of Oral Implantologists, the American Academy of Periodontology, the Academy of General Dentistry, the American Dental Association, the Arkansas State Dental Association, and others. Dr. Deems also speaks to state dental associations, national associations, dentists and their teams, and study groups across the U.S., Europe, and Canada. Dr. Deems has served as a consultant to the Dentist Well-Being Committee of the Council on Dental Practice of the American Dental Association. Dr. Deems has also been awarded the distinction of being one of the Top Leaders in Continuing Education every year since 2005 by Dentistry Today magazine, a leading professional dental journal, the only Arkansas dentist to ever accomplish that. He is a published author for professional dental publications, such as Dental Economics, AGD Impact, Dental Practice Report, Dentistry Today, Dental Tribune, DentalCompare, DrBicuspid, and others, and has produced online CE programs for professional dental CE websites. In 2003, Dr. Deems was the first dentist to receive the Psychologically Healthy Workplace Award given by a state psychological association. In 2004, he became the first dentist in the U.S. to receive the National Best Practices Honors by the American Psychological Association, one of only 10 businesses nationally chosen for the award (from 180 businesses nominated by state associations). In addition to his dental practice, Dr. Deems writes or has written for Arkansas Life and Fitness, Arkansas Democrat Gazette, Arkansas Health and Living, Active Years, Mature Arkansas, and others. He has made several TV appearances on Good Morning, Arkansas, Business Talk Arkansas, and Positively Arkansas, and is a guest lecturer at the University of Arkansas Medical Sciences School of Dental Hygiene. He is often asked to speak on dental topics of interest to civic and professional groups, such as study groups and dental associations (contact him to speak to your group!). Dr. Deems is also a certified professional personal and business coach, having completed his comprehensive coach training at Coach U. One of only a few dentists nationwide to share the distinction of being both a certified professional coach and a practicing dentist, he coaches dentists and other solo professionals towards personal fulfillment, balance, and success in their personal and professional lives. Dr. Deems presents keynote addresses, workshops, and lectures of interest to a variety of groups and organizations. For more information on Dr. Deems’ coaching activities, visit his coaching Web site. Dr. Deems volunteers for the Arkansas Mission of Mercy and The Harmony Clinic. He also enjoys music, basketball, cycling, fishing, mountain climbing, boating, backpacking, baseball, and playing the guitar. Carol Ann Morgan, RDH: Carol Ann has been practicing as a dental hygienist since 1974 and is considered by most to be a gem of a hygienist. As one patient recently said, “She is the most thorough hygienist I’ve ever seen.” You’ll notice in some of our reviews how Carol Ann’s abilities are pointed out. When she graduated from dental hygiene school, she received the Outstanding Academic Achievement Award. She is a current member of the American Dental Hygiene Association and the Arkansas State Dental Hygienist Association, where she served as a board member. She is passionate about helping people achieve and maintain optimal dental health, and she is a wealth of information and experience. She has been with us since 1997. Amanda Bagby, RDH: Amanda has been practicing dental hygiene since 2012, and expertly helps patients understand their oral health condition. She is often referred to in our reviews as being “thorough,” “caring,” “gentle,” and much more. She is also an excellent listener and is often complimented on her sincere demeanor and gentle treatment. Donna Fagan, RDA: Donna is a Registered Dental Assistant who brings extreme energy and enthusiasm to our practice. As Dr. Deems’ “right-hand-person,” she is one of the few people in Dr. Deems’ career to be able to stay at least one step—if not two—ahead of him, making the treatment he provides flow smoothly, seamlessly, and easily. She has been a dental assistant since 1990, and has nearly “seen it all,” which is why she loves working in our practice and considers it the best place she has ever worked (and feels it is the first time she has been part of a true team)! Brooke Cobb: Brooke is our Scheduling Coordinator, having worked in dentistry since 2006. She originally started as a dental assistant, but her talent and people skills quickly moved her into the “business” section of dentistry, where she had been able to master the complex software, bookkeeping, insurance, and telephone skills and knowledge necessary in today’s world. She is truly the hub of our practice and is the sweet voice you hear when you call us! She has incredible attention to detail and is more than capable of helping you with your appointments, insurance, and account. Cantrell West Dental is open Monday through Thursday (with some selected Fridays). Appointments are available from 7:10 am to 12:00 pm and from 1:00 pm to 4:00 pm. To make an appointment, call us at (501) 664-3279. Any problem you consider a dental emergency is a dental emergency. Please give us a call at (501) 664-3279. We will do everything possible to care of your problem as soon as we can. Dr. Deems provides emergency care whenever possible to patients of record only. If it’s after-hours, call our office and follow the instructions to contact Dr. Deems. If it is a serious problem, call 911 or get to the nearest emergency room. Our financial options are flexible and friendly. Dr. Deems is a Delta Dental and Blue Cross/Blue Shield provider, and other insurance carriers may be provided in the near future. If you don’t have these dental insurances, we will work with you to find a way. Fees vary among individuals, complexity of procedures and treatments, and the types of materials necessary to achieve desired results. Once a course of treatment is decided, we provide a written best estimate of what the procedure will cost. Dr. Deems is a Delta Dental provider. We accept most major credit cards and other financial services: MasterCard, Visa, American Express, Discover Card, Dental Fee Plan, Care Credit, and others. Error: Error validating access token: Session has expired on Monday, 08-Apr-19 08:33:41 PDT. The current time is Thursday, 18-Apr-19 18:18:45 PDT.